Mr. PAUL. Mr. Speaker, I rise in support of all four articles of impeachment against the President. There is neither pleasure nor vindictiveness in this vote and I have found no one else taking this vote lightly. It seems though many of our colleagues are not pleased with the investigative process; some believing it to have been overly aggressive and petty, while others are convinced it has been unnecessarily limited and misdirected. It certainly raises the question of whether or not the special prosecutor rather than the Congress itself should be doing this delicate work of oversight. Strict adherence to the Constitution would reject the notion that Congress undermine the separations of power by delivering this oversight responsibility to the administration. The long delays and sharp criticisms of the special prosecutor could have been prevented if the Congress had not been dependent on the actions of an Attorney Generals appointee. The charges against the President are serious and straight forward: lying, perjury, obstruction of justice, and abuse of power. The main argument made in his defense is that these charges surround the sexual escapades of the President and therefore should not be considered as serious as they otherwise would be. But there are many people in this country and some members of Congress who sincerely believe we have over concentrated on the Lewinsky event while ignoring many other charges that have been pushed aside and not fully scrutinized by the House. It must not be forgotten that a resolution to inquire into the possible impeachment of the President was introduced two months before the nation became aware of Monica Lewinsky. For nearly six years there has been a steady and growing concern about the legal actions of the President. These charges seem almost endless: possible bribery related to Webb Hubble, foreign government influence in the 1996 presidential election, military technology given to China, FBI files, travel office irregularities, and many others. Many Americans are not satisfied that Congress has fully investigated the events surrounding the deaths of Ron Brown and Vince Foster. The media and the administration has concentrated on the sexual nature of the investigation and this has done a lot to distract from everything else. The process has helped to make the President appear to be a victim of government prosecutorial overkill while ignoring the odious significance of the 1,000 FBI files placed for political reasons in the White House. If corruption becomes pervasive in any administration, yet no actual fingerprints of the president are found on indicting documents, there must come a time when the CEO becomes responsible for the actions of his subordinates. That is certainly true in business, the military, and in each congressional office. There is a major irony in this impeachment proceeding. A lot has been said the last two months by members of the Judiciary Committee on both side of the aisle regarding the Constitution and how it must be upheld. But if we are witnessing all of a sudden the serious move toward obeying constitutional restraints, I will anxiously look forward to the next session when 80 percent of our routine legislation will be voted down. But the real irony is that the charges coming out of the Paula Jones sexual harassment suit stem from an unconstitutional federal law that purports to promote good behavior in the work place. Its based entirely on ignoring the obligations of the states to deal with physical abuse and intimidation. This whole mess resulted from a legal system institutionalized by the very same people who are not the Presidents staunchest defenders. Without the federal sexual harassment code of conduct — which the President repeatedly flaunted — there would have been no case against the President since the many other serious charges have been brushed aside. I do not believe this hypocrisy will go unnoticed in the years to come. Hopefully it will lead to the day when the Congress reconsiders such legislation in light of the strict limitations placed on it by the Constitution and to which many members of Congress are now publicly declaring their loyalty. Much has been said about the support the President continues to receive from the American people in spite of his acknowledged misconduct. It does seem that the polls and the recent election indicate the public is not inclined to remove the President from office nor reward the Republicans for their efforts to investigate the Lewinsky affair. It is quite possible as many have suggested that the current status of the economy has a lot to do with this tolerance. The publics acceptance of the Presidents behavior may reflect the moral standards of our age, but Im betting theres a lot more to it. It is true that some conservative voters, demanding the Republicans in Congress hold the President to a greater accountability, voted by staying home. They did not want to encourage the Republicans who were seen as being soft on Clinton for his personal behavior and for capitulating on the big government agenda of more spending, and more taxes. But hopefully there is a much more profound reason for the seemingly inconsistent position of a public who condemns the President while not having the stomach for punishing him through impeachment. If my suspicion is correct we can claim a major victory. Polling across Texas, as well as nationally, confirms that more than 80 percent of the people are fearful of the Federal Governments intrusion into our personal privacy. Thats a healthy sign and indicates that the privacy issue could be the issue that will eventually draw attention to the evils of big government. The political contest, as it has always been throughout history, remains between the desire for security and the love for liberty. When economic security is provided by the government, privacy and liberty must be sacrificed. The longer a welfare state lasts the greater the conflict between government intrusiveness and our privacy. Government efficiency and need for its financing through a ruthless tax system prompts the perpetual barrage of government agents checking on everything we do. Fortunately, the resentment toward government for its meddling in all aspects of our lives is strong and becoming more galvanized, and that should give us hope that all is not lost. But this resentment must be channeled in the right direction. Belief that privacy and liberty can be protected while the welfare state is perpetuated through ever higher taxes is an unrealizable dream. The ambivalence comes from fear that demanding privacy, even for the President, means that his actions are then condoned. And turning this into a perjury issue has been difficult. The President, his advisors, and the friendly media were all aware that the sexual privacy issue would distract from the serious charges and knew it was their best chance to avoid impeachment. But the President, this Administration and the Congress have all been hypocritical for demanding privacy for themselves yet are the arch enemies of our privacy. Although other Administrations have abused the FBI and the IRS, this Administration has systematically abused these powers like none other. Lets declare a victory in despite of the mess were in. The President is not likely to be removed from office. Well call it a form of jury nullification and hope someday this process will be used in our courts to nullify the unconstitutional tax, monetary, gun, anti-privacy, and seizure laws that are heaped upon us by Congress, the President, and perpetuated by a judicial system devoid of respect for individual liberty and the Constitution. Hopefully, the concept of the overly aggressive prosecutor will be condemned when it comes to overly aggressive activities of all the federal police agencies whether its the IRS, the BATF or any other authoritarian agency of the federal government. A former U.S. Attorney, Robert Merkle, recently told the Pittsburgh Post Gazette that the philosophy of (the Attorney Generals office) the last 10 to 15 years is whatever works is right, when it comes to enforcing federal laws which essentially all are unconstitutional. Its this attitude by the federal police agents that the American people must reject and not only when it applies to a particular President some want to shield. Even though we might claim a victory of sorts, the current impeachment process reveals a defeat for our political system and our society. Since lack of respect for the Constitution is pervasive throughout the Administration, the Congress and the Courts and reflects the political philosophy of the past 60 years, dealing with the President alone, wont reverse the course on which we find ourselves. There are days when I think we should consider impeaching not only the President, but the Congress and the Judiciary. But the desired changes will come only after the peoples attitudes change as to what form of government they desire. When the people demand privacy, freedom and individual responsibility for everyone alike, our government will reflect these views. Hopefully we can see signs in these current events that more Americans are becoming serious about demanding their liberty and rejecting the illusions of government largesse as a panacea. Its sad but there is another example of a most egregious abuse of presidential power, committed by the President, that has gotten no attention by the special prosecutors or the Congress. That is the attempt by the President to distract from the Monica Lewinsky testimony to the Grand Jury by bombing with cruise missiles both Sudan and Afghanistan, and the now current war against Iraq. Two hundred million dollars were spent on an illegal act of war against innocent people. The pharmaceutical plant in Sudan was just that, a pharmaceutical plant, owned by a Muslim businessman who was standing up to the Islamic fundamentalists, the same people we pretend to oppose and use as scapegoats for all our Middle-Eastern policies. And now we have the controversial and unconstitutional waging of war in Iraq. And to add insult to injury both military operations ordered by Clinton were quickly praised by the Republican leaders as good and necessary policy. These acts alone should be enough for a serious consideration of impeachment, but its never mentioned — mainly because leadership of both parties for decades have fully endorsed our jingoism and bellicosity directed toward other nations when they do not do our bidding. Yes, the Presidents tawdry affair and the acceptance of it to a large degree by the American people is not a good sign for us as a nation. But, lets hope that out of this we have a positive result by recognizing the publics rejection of the snooping actions of Big Brother. Lets hope theres a renewed interest in the Constitution and that Congress pays a lot more attention to it on a daily basis especially when it comes to waging war. The fact that President Clinton will most likely escape removal from office I find less offensive than the Congresss and the medias lack of interest in dealing with the serious charges of flagrant abuse of power, threatening political revenge, issuing unconstitutional Executive Orders, sacrificing U.S. sovereignty to world government, bribery, and illegal acts of war, along with the routine flaunting of the constitutional restraints that were placed there to keep our government small and limited in scope. 1998 Ron Paul 125:3 over concentrated probably should be hyphenated: over-concentrated. 1998 Ron Paul 125:6 constitutional probably should be capitalized: Constitutional. 1998 Ron Paul 125:18 Let�s declare a victory in despite of the mess we�re in. probably should be Let�s declare a victory in spite of the mess we�re in. 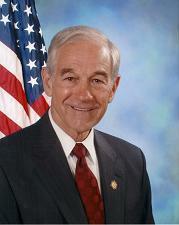 1998 Ron Paul 125:22 the now current war probably should be hyphenated: the now-current war. 1998 Ron Paul 125:26 constitutional probably should be capitalized: Constitutional.